Why not take a look around! 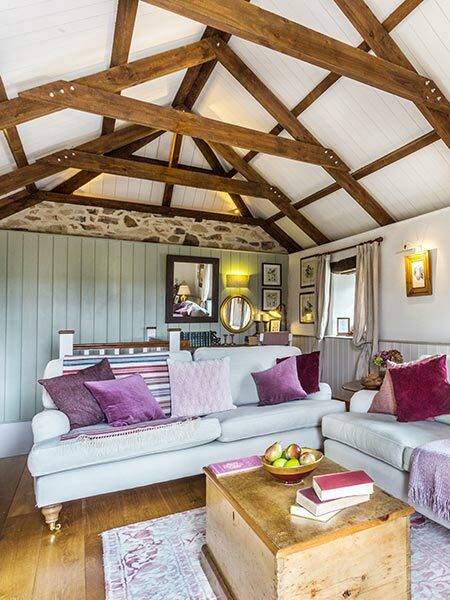 Just a few years ago Old Pear Tree Barn was a derelict barn and piggery, but, now it has been imaginatively and careful restored into a charming, comfortable and luxury, eco-self-catering home. Great care has been taken to retain the unique, original, rustic charm and character, whilst harnessing modern state-of-the-art, eco systems to provide high levels of comfort for a relaxing stay. 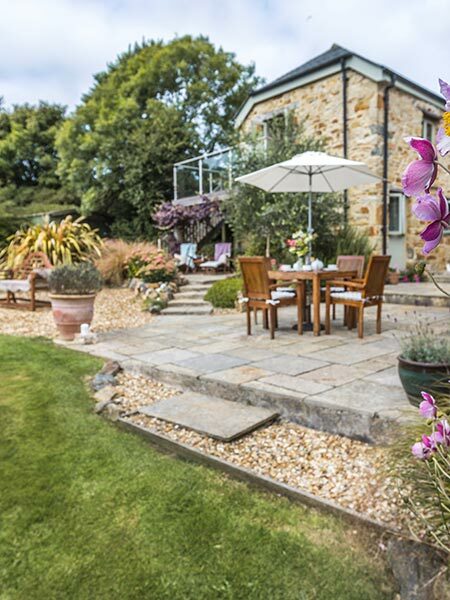 Featured in the popular TV series Caroline Quentin’s “Cornwall”, this barn conversion with its large, private gardens and extensive car parking, is a very popular choice for discerning guests and enjoys an ever growing and loyal clientele, many of whom have returned on numerous occasions. 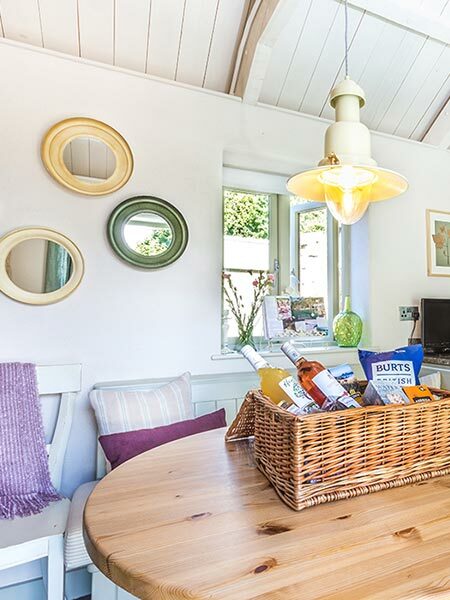 Located close to the North coast of Cornwall, this unique little Cornish gem is in such an idyllic location: delightfully restful, with just the sound of the breeze in the trees or a distant owl hooting on a blissfully still evening. It is the ideal spot for a rural retreat and although Old Pear Tree Barn is located down a private lane it is just a few minutes walk from a 400 year old thatched inn! Click here to see our current offers! Click here to see our current prices! Perfect rural location for you and your furry family! Whether it’s your annual holiday or just a weekend away from it all ~ we have it covered!